I expect that the majority of you have been suffering with insanely high heat and humidity. It may not feel so great to us, but most everything in the garden seems to be enjoying it, including the herb garden. Fresh herbs are one of the things I most look forward to during the long cold months of winter. Fresh anything, really, but herbs do so much to add life and vitality to everything you use them in – they can make winter seem a little less bitter. I dry herbs, and freeze some in ice cube trays – cosseting the freshness of summer in little pools of olive oil, to be taken out and savored later on. 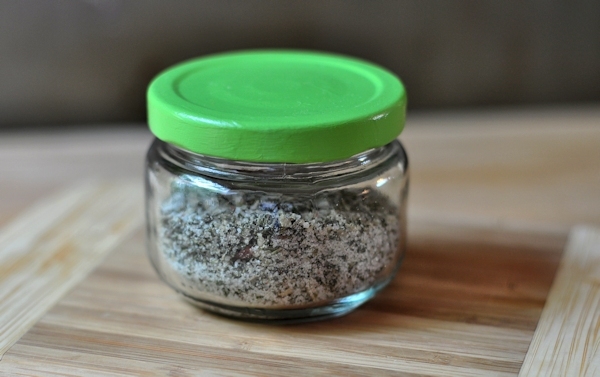 But this herb-garlic salt is another way to preserve some of the zip of summer herbs for awhile longer too. Though the herbs do become dry, as the salt draws out their moisture and preserving them, it somehow seems to preserve some of the herbs’ fresh flavor as well – far better than ordinary drying does. Making it is simple, and actually kind of fun – you will feel all chef-ey as you run a nice big knife through all of these ingredients to break them down to a texture that will be easy to sprinkle. It isn’t difficult, but it does take a bit of time and patience. You are, after all, reducing a cup or more of fresh leaves down to pieces not much bigger than the grains of salt with which you are combining them – that doesn’t happen quickly. You have time to develop a relaxing rhythm, chopping through the pile, scraping it all back into a little hill, and then again, chopping, chopping chopping. Of course, if all that chopping isn’t your cup of tea, you can use a food processor, though when I tried to do it that way, I wasn’t as happy with the texture. 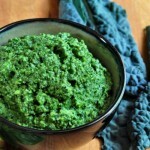 Your opinion may differ, and if the food processor is the way you prefer to do it, then I will not quibble – the important thing is to make some! This batch, I ended up zapping in my small chopper just a bit a couple days after I made it, because the Hawaiian pink salt I used for part of the overall amount was larger and harder than I had realized, so it didn’t break up very much. I used half Celtic sea salt, and half pink sea salt, but some use ordinary kosher salt, which works just fine. I would not use table salt though – it will end up being too salty, because the grains are so fine, and table salt has a higher sodium content than kosher or sea salts do. I use our own spring garlic, which is garlic that is still growing. The flavor isn’t much different – a little milder maybe. You may find spring garlic at a Farmer’s Market, but regular garlic will work just as well. For the herbs, it is a matter of taste. For this batch, I used rosemary, thyme, Greek oregano and sage. You can make what ever combinations suit your taste, and that you think you will find useful. I have made it with lemon zest in there too – lemon zest, rosemary and sage is really good on chicken. 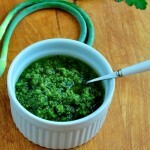 Once my cilantro ever starts really growing, I plan to make a cilantro, garlic and lime zest combo. You can use it as soon as you make it, but for longer storage, you need to let it dry out pretty well, before sealing it up in a container. I lined a baking sheet with parchment paper, and spread the salt out in a thin layer. It took longer than I expected for it to dry out, but I think that is because of our humid weather. I just left it in the oven till it was fairly dry – it’s not like I’m going to be turning that on anytime soon! 2 cups fresh herb leaves - any combination of rosemary, sage, thyme, oregano, savory, dill, parsley, tarragon, chervil, basil, etc. Make sure the herbs are clean and free of any stems - you only want to use the leaves, and pile over top of the garlic and salt. Using a large chef's knife, chop through the mixture with a rocking motion, first in one direction, then turn the board and chop in the other direction. Use the blade of the knife, or a bench scraper to scrape the mixture back into a pile, and chop through everything again. 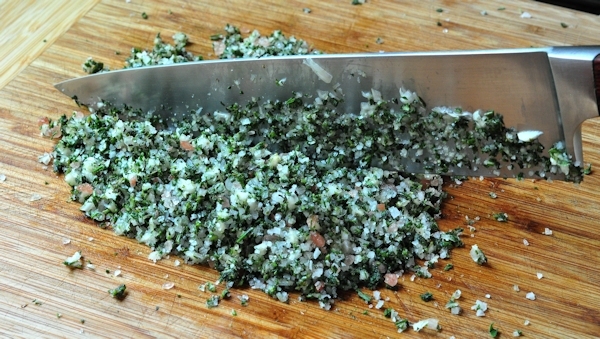 Repeat the scraping into a pile, and chopping over and over, until you have finely minced herbs. 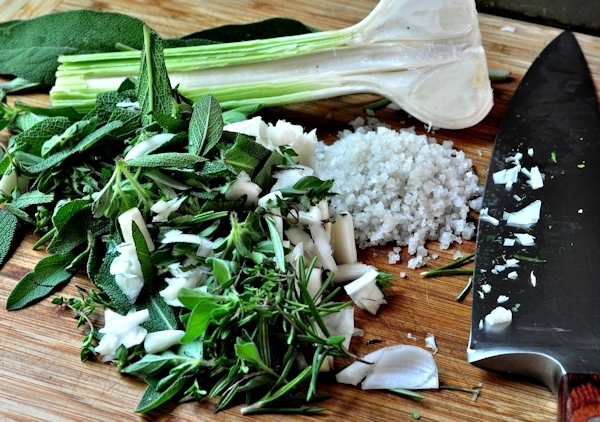 The garlic and salt will also get chopped as you go along, but it is the herbs that you want to get into very small bits - then the rest will be the right size too. This will take around 6 to 10 minutes, depending on how fast you are. Line a baking sheet with parchment paper, and spread the mixture in a thin layer to dry, which will take 2 to 5 days, depending on the weather. 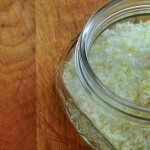 If you used Celtic salt, it will still feel a little moist, which is fine. And now, you may ask, how do you use it? 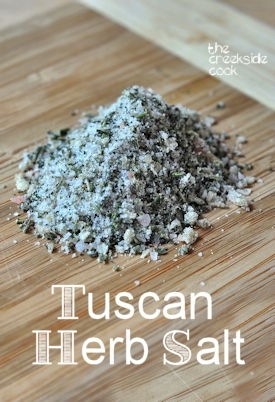 Tuscan Herb Salt is good on so many things. I have seen where some people think it is only good as a finishing salt, but I think it is equally useful at any stage of a meal. I sprinkle it on scrambled eggs, or cooked vegetables. Try rubbing a little olive oil on the surface of skinless, boneless chicken breast, and sprinkle the salt generously on both side before grilling or pan frying. 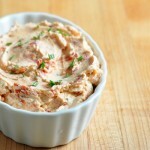 The same treatment is wonderful with cut slabs of zucchini or summer squash. Or steak. Or pork chops. Or fish. Use it when you are mashing potatoes, or making rice. 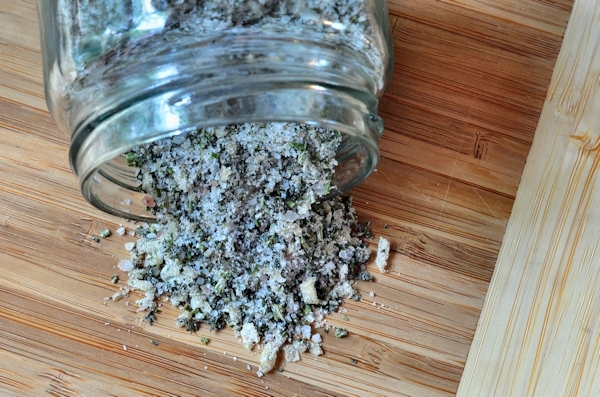 Any savory dish where you would use salt would get an extra pop of flavor from this blend. 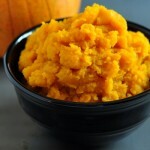 It would also make a really unique gift – and if you make it during the summer, it will still be fantastic when we get to the holidays, so it might be a good idea to whip up extra. I know I nearly forgot to save enough for photos for this post! That’s okay though, because I see a lot of batches of this in our future! If you come up with your own spin on this, or if you have made it yourself and found a great way to use it, please share in the comments below! I love this idea, and I can think of a million ways to use it, so thank you! I;m so glad I found your Facebook page when a friedn told me about it. I love coming to see what you are working on next. Thank you Abigail – so glad to meet you! 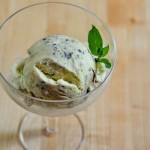 What a great way to enjoy summer herbs all year round! This would make such a great gift for my mom. Her birthday is in early August. Thank you for sharing it with us! You’re very welcome Monet – I have a feeling a lot of people I know are going to be getting some soon too! I was thinking exactly what Monet was, I’ll be making this for my Mom’s birthday next month! It sounds so delicious! Thanks Suzie – I hope your Mom loves it! I love the idea of this salt! I gotta do this – I do have too many herbs at the moment. Knife for me, please – somehow the food processor seems to do something to the texture of herbs – the taste seems just a tad off. Probably my imagination, but I like using the knife anyway, so that’s no big deal. Using a knife if kind of fun anyway, John! Donalyn that looks delicious. My herbs are growing great in the garden, and when I get big bunches from the farm share I am overwhelmed with herbs and need a good reason to use up heaps of them. This looks like an excellent reason. Thanks Kirsten – they keep really well through the winter too! Hope you love them Foodie! I LOVE this. I am going to make some for a gift for my son and his wife…..what could be better than fresh herbs for cooking…all the way in North Carolina? Can’t think of a better gift, Sue – I bet they will love them! look so amaze. I’M try with local herb and such. beautiful pics too! 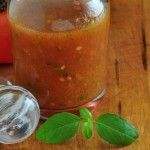 Thanks Jun – I think it will work with just about any herbs you have growing where you live. We tried this today and it smells just so summery! I can’t wait to use it in the middle of the winter. thanks for the great idea! Isn’t that the best smell, Vic – love it! Hi Ruby – there really isn’t any reason to freeze it – the salt dries out the herbs and garlic, and preserves them pretty much indefinitely. The flavor will suffer after a few months, but it will still be perfectly safe to use. Just make sure you let it lay on the sheet pan in a thin layer to dry out before you put it in a container to store. Hope this helps! Tfs!! 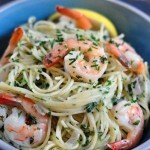 Did this w/Rosemary, Oregano & Basil from my garden! I felt like a Chef…can’t wait to use my homemade blend. Blessings to you! So fun! I hope you make a bunch of amazing stuff with it!